I am absolutely delighted and proud to announce the opening of my NEW CLINIC!!!! The clinic has two spacious treatment rooms where will offer appointments, diagnosis and treatment in privacy & comfort, as well as a new treadmill where we will be doing Gait Re-Training & Analysis. 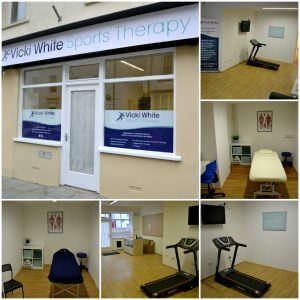 Now based at 14 Upper Market Street, Haverfordwest, the new clinic has brand new facilities and is within easy walking distance of the Leisure Centre and carparks.